Silom is sometimes known as the ‘Wall Street of Thailand’, as some of the biggest companies in Bangkok are found here, but that is not all. Silom boasts some of the best street food in Bangkok, and is surprisingly close to the Chao Phraya river and the old town, known as Rattanakosin. Rattanakosin is situated just north of Chinatown next to the river Chao Phraya. 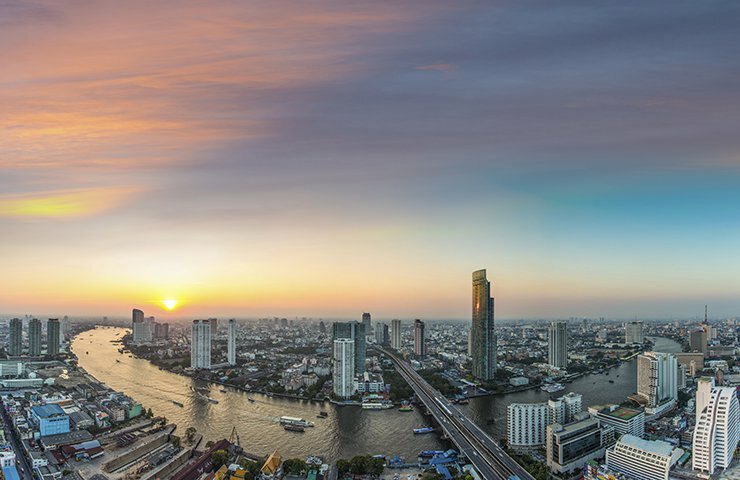 It is home to Bangkok’s historical and most revered attractions. Sights include the Grand Palace, Wat Phra Khaew and the temples Wat Pho and Wat Mahathat. Sanam Luang, the park next to the Grand Palace, is used for important, royal ceremonies. In the heart of Silom lies the famous Silom Soi 20, which is a street food paradise. The food here is as local as it gets, including Grilled Pork (Moo Ping). It is easy to get lost in all the food, and the best times to visit are between 6 and 9 a.m for breakfast. The Chao Phraya is the major river in Thailand and flows alongside many settlements. You can take ferries to get to different parts of the city and beyond from Sathorn pier, less than 5 minutes from our hotel. We recommend exploring Asiatique, which is easily accessible by a free ferry from here. Overlooking the Chao Phraya river isn’t the only attraction our hotel has. Being located next to the lifestyle riverside mall Asiatique is another one, as well as the Sathorn Pier also being within walking distance, making travel up and down Chao Phraya river an easy task. The Yannawa temple and Assumption Church are worth a visit for people who want to see some beautiful architecture and history. If you would like to sit and eat overlooking the river, the Little India and Shantou Seafood restaurants are situated right on the bank of the river and provide good ambiance with a beautiful view. The river is especially beautiful at night with slow moving, well-lit boats trundling along. If you would prefer to relax in style, head over to Mulberry Spa or Suanplu Thai Massage for a traditional Thai massage or other treatments. All this and more within walking distance. 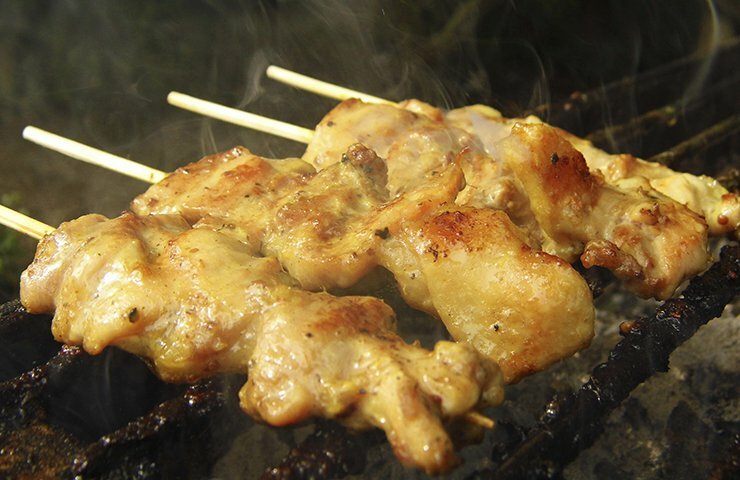 Hungry for some authentic Street Food? Guests of Centre Point Hotel Silom are in luck, because Charoenkrung Road is famous for its street-side stalls selling local treats and delicacies made from original recipes. Watch the latest episode of ‘Hi Bangkok’ from Centre Point Hotels and join us on a tasting tour in Silom’s famous street food offerings. The Sathorn Pier is 5 minutes walk from Centre Point Hotel Silom, and conveniently located next to the BTS Saphan Thaksin, which connects you to the rest of the city by either train or boat. Taking a ferry along the river to the most historical attractions in Bangkok is a tourist favourite, and for good reason. 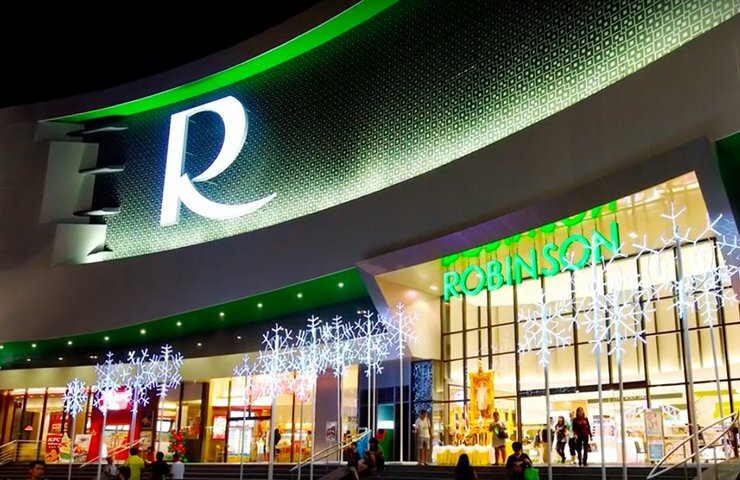 Robinson department store is situated in the same building as our Silom hotel, with four floors, filled top to bottom with international and local brands. If the Bangkok heat is too overwhelming, we recommend taking a few hours to check out the goods here. Some of the greatest street food stalls and local restaurants in Thailand can be found around the Charoenkrung-Bangrak area. Our personal favourites include Thip Hoy Tod Pukao Fai, which literally means 'volcano fired oyster'. If you are staying at Centre Point Silom this is one place you cannot afford to miss out on, if not for the food, enjoy the local way of life.